The 8pm screening with shadow cast is SOLD OUT! Let's do the time warp againnnnnn! 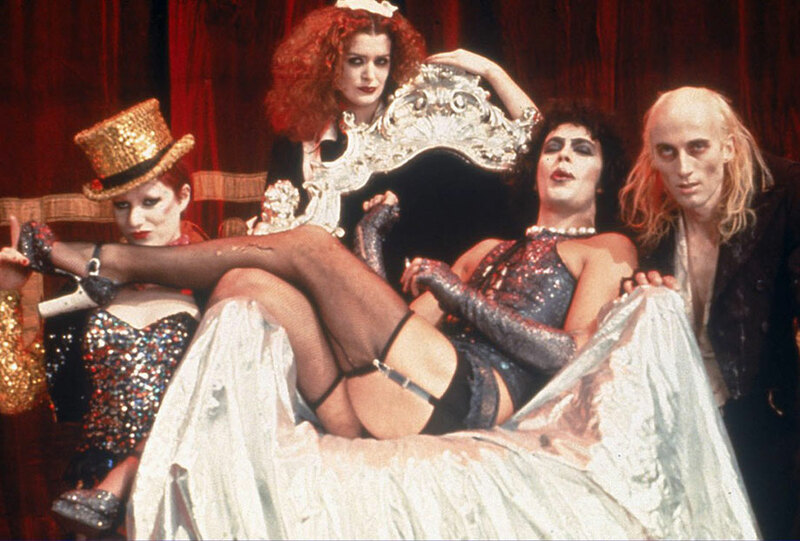 Our 8pm screening of Rocky Horror Picture Show will not only be interactive, but it will be a special shadow cast screening with live actors doing a parallel performance of this cult classic film. Cosplay is strongly encouraged. Outside supplies for the interactive screenings are PROHIBITED. Pre-approved items will be sold in grab-bags in the lobby during the event. Please respect our historic theatre and keep it in good shape for all events! The Meanwhile Bar and Wealthy Theatre team up to present the Meanwhile film series! The weekly brew & view every Tuesday night. This week's film is Rocky Horror Picture Show! Originally released in 1975. Directed by Jim Sharman. Starring Tim Curry, Richard O'Brien, Susan Sarandon, Barry Bostwick, and Meat Loaf. The film is rated R, with a runtime of 1hr 41min. Sweethearts Brad and Janet have become stuck in the middle of nowhere with a flat tire during a storm. They soon discover the eerie mansion of Dr. Frank-N-Furter, a transvestite scientist. As their innocence is lost, Brad and Janet meet a houseful of wild characters, including a rocking biker and a creepy butler. Through elaborate dances and rock songs, Frank-N-Furter unveils his latest creation: a muscular man named "Rocky." Widely considered one of the great cult classics of all time, still the film is a must-see with a full crowd experience. Last year's Halloween screening was a sell-out, so get your tickets early. If you are a member of the Community Media Center, you can order drinks at our bar and enjoy a local Michigan beer, a glass of wine, or a mixed drink while watching your favorite cult classics. Remember, bar privileges are available only to CMC Members. If you would like to learn more about the many benefits of CMC membership, please click here.